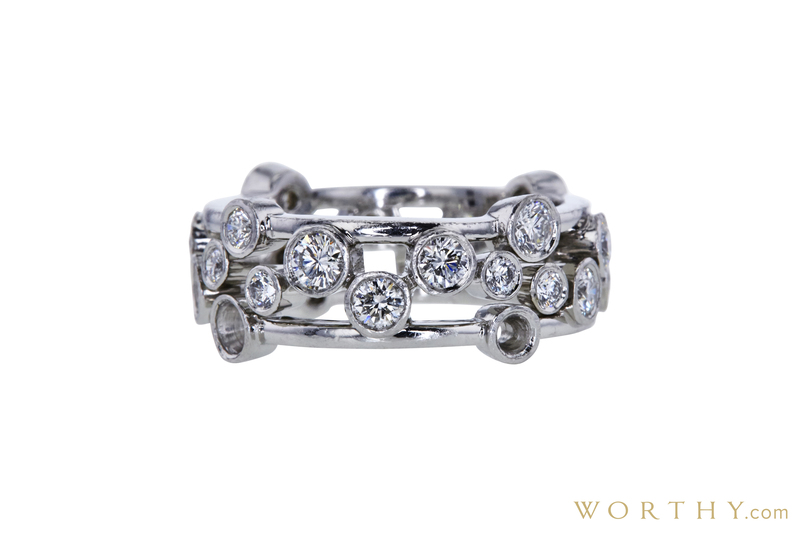 palladium tiffany & co. right hand ring consisting of 16 round shape, natural diamonds , weighing 1.25 - 1.28 carats (cttw). The stones color and clarity ranging F-G and VVS2-VS1 respectively, according to GIA grading scale. and carries a IGI grading report. This item was graded at IGI and results are reflected in the IGI report PDF seen in the item images. Carat weights are estimated by formula.